Legionella Control International is a world-leading healthcare water safety and Pseudomonas risk assessment specialist. We are expert in the delivery of pragmatic health and safety solutions to hospitals and healthcare organisations that include the control of Pseudomonas aeruginosa, Legionella bacteria and other water borne pathogens that contaminate man-made water systems. Our expert services include comprehensive water safety risk assessments in accordance with the Health & Safety Executives ACOP L8 and Department of Healths HTM 04-01, the development and implementation of effective water safety control schemes, independent compliance auditing, City & Guilds accredited training courses and software solutions to healthcare organisations throughout the United Kingdom and internationally.If you would like to learn more about our expert healthcare risk management solutions and how we can help you develop practical water safety plans that keep people safe, protect your reputation and demonstrate to the regulator that you are taking reasonable steps to manage the risks in your workplace then call 0330 223 36 86 to speak to one of our specialists or send your questions to us here … contact us. Bacteria come in many forms, and for us humans some are harder to combat than others, especially if we are more susceptible to infection because of illness, age or a compromised immune system. Here, we’ll look at Pseudomonas aeruginosa, which is one of the tougher forms of bacteria that exist in the environments that surround us. You may also see this referred to as P. aeruginosa. Pseudomonas is a name given to a commonly-occurring bacterium found in the outside world. While there are several strains of the bacterium in existence, the strain that tends to be responsible for most types of infections in humans is known as Pseudomonas aeruginosa (currently around 80%). The Pseudomonas bacterium is common in the natural world, often found living in wet or moist environments including soil and in stagnant water. This doesn’t just apply to naturally-occurring pools of stagnant water, though – it can also be found on work surfaces, tools and equipment, and in healthcare situations where water may not commonly be used, i.e. if a tap or shower is not properly and regularly cleaned or it is only used infrequently. The very end of a tap or outlet could be at risk of being infected with this bacterium. What kinds of illness does it cause? Pseudomonas aeruginosa can cause a wide number of illnesses in humans. Since it can enter the body in many different ways, the route the infection takes will usually indicate the type of illness a person might experience. For example, someone with poor respiratory health who inhales the bacteria may develop a chest infection or type of pneumonia. Someone who has been injured or had an operation, and therefore has wounds that are healing, may be affected by the bacteria as it makes its way into the body via those wounds. This can lead to all kinds of serious infections, including those of the blood. While infection by Pseudomonas aeruginosa can be serious in patients or people with poor health, it can also occur in more minor ways in those who are healthy. In these cases, ear infections and skin infections can occur. What is an Alert Organism? In the UK Pseudomonas aeruginosa is considered to be an “Alert Organism” which describes a microorganism that has the potential to cause harm and disease in individuals and which can cause an outbreak of infection in a hospital environment. An alert organism is identified by a hospitals microbiology lab and referred to the infection prevention and control (IPC) team for assessment of possible healthcare-associated acquisition and to identify any possible environmental/equipment sources. P. aeruginosa is recognised as an opportunistic organism. This means someone who is healthy is unlikely to be affected by serious illness caused by the bacterium. If it does occur, it may do so as part of an outbreak of illness caused through improper management of a specific facility, i.e. a dirty hot tub or swimming pool. Many of us carry Pseudomonads around in and outside our bodies most of the time. It is only in rare cases that it leads to serious problems. However, the opportunistic nature of this pathogenic organism gives it the potential to cause serious problems for patients in hospitals and healthcare environments, especially those in augmented care units. People with suppressed or weakened immune systems are at greater risk of being infected by the bacteria. Conditions can include chest infections, pneumonia, and urinary tract and wound infections. If the bacteria are present on someone’s hands, they can easily be spread to other areas the infected person touches. Good hand-washing practices and the provision of hand gels and proper handwashing facilities can greatly reduce the spread of the bacteria. In hospitals and similar settings, medical equipment may also become contaminated if it is not kept scrupulously clean. Decontamination is vital, as this gets rid of the bacteria and will prevent a sick person from contracting an illness they could otherwise have avoided. Water distribution systems and associated equipment including sinks, taps, showers, drains, pipe-work and water storage tanks also have the potential to distribute Pseudomonas contaminated water increasing the potential for patient infection. Direct contact with contaminated water through drinking, washing or splashing from water outlets or sinks. Contact with contaminated surfaces, typically bacteria is spread on the hands of healthcare workers and visitors, and from contaminated equipment. Inhalation of contaminated water aerosols from showers, respiratory equipment and other aerosol generating equipment. Poor decontamination of medical equipment rinsed with contaminated water. While healthy people troubled with a mild infection caused by P.aeruginosa may recover without too much concern, those who are already poorly and in hospital can be at greater risk of serious infection. Since the health of hospital patients is often already depleted the early identification of a Pseudomonas infection is paramount, and can influence how well that person may recover. The usual treatment would be a course of one or more types of antibiotics. However, some strains are becoming resistant to the drugs used to fight them, although numbers are still small at present. It shows the need to produce new antibiotics, however, and this is known to be one of the more multi-drug resistant bacteria that has the ability to mutate and so protect itself against the effects of the antibiotic drugs currently used. There are a number of important steps that can be taken to control the risks associated with Pseudomonas infection, especially in hospitals and healthcare environments. Assessing the risks of Pseudomonas infection is often a good starting point. Good cleanliness is also of paramount importance if we are to prevent the spread of Pseudomonas aeruginosa in healthcare settings, and indeed other similar settings. By practising regular handwashing and keeping all medical equipment clean, we can limit the chances of the bacteria spreading and causing illness in those who are least capable of fighting it off. Performing a Pseudomonas risk assessment and ensuring staff are suitably competent to perform their duties (through training) are two essentials to improving the management of the risks associated with this opportunistic pathogen in healthcare premises. Detailed review to identify risks present. Actions required to control the risks. Record of those person/s responsible for coordinating implementation of the actions. Date completed and recommended renewal date. The delivery of “safe water” in accordance with the requirements of HTM 04-01 Safe water in healthcare premises, is essential for patient safety. This HTM, which was updated in 2016 calls for the formation of a Water Safety Group (WSG) and development and implementation of a Water Safety Plan (WSP) both of which form the foundation of any successful water management strategy for healthcare premises. The 2016 update of HTM 04-01 also incorporated a new Part C which gives specific advice for the control of Pseudomonas aeruginosa in augmented care units. The Department of Health’s HTM 04-01 Part C: Pseudomonas aeruginosa – advice for augmented care units, gives excellent guidance to hospital staff involved with patient safety including estates, facilities and infection prevention and control (IPC) teams on measures needed to control and minimise the risk of P. aeruginosa in healthcare environments. Although its main focus is control of P. aeruginosa, it may also have relevance to other waterborne pathogens such as Legionella bacteria, Stenotrophomonas maltophilia, Burkholderia cepacia and atypical mycobacteria. Hospital infection prevention and control (IPC) teams should also monitor P. aeruginosa especially in augmented care units and ensure the implementation of the healthcare associated infection (HCAI): operational guidance and standards document which sets-out the steps health protection teams need to take to make sure they meet healthcare associated infections (HCAIs) standards. From our offices in London, Manchester and Glasgow our experts serve healthcare clients across all regions of the United Kingdom, Europe and internationally delivering professional water safety risk assessments, independent auditing, City & Guilds training and other environmental risk management services. Leading healthcare water safety and Pseudomonas risk assessment specialist. 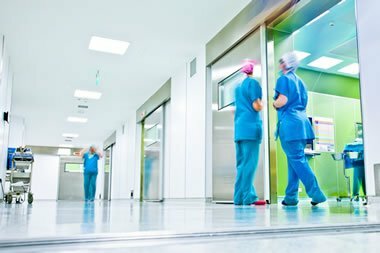 We are expert in the delivery of pragmatic health and safety solutions to hospitals and healthcare organisations that include the control of Pseudomonas aeruginosa, Legionella bacteria and other water borne pathogens that contaminate man-made water systems.